Activision announces that the Call of Duty franchise is coming to mobile. I remember distinctly where I was the first time I saw Super Metroid. It was at a friend’s house, Adam his name was, and we were looking for something to play, and this game caught my eye. The box art sold it to me “Guns AND Dragons!” I thought “And look a Nintendo Seal of Quality, this must be good!” So yes, I was young and impressionable, and a marketer’s dream clearly, but it meant I put this unfamiliar title into the cartridge slot of my mate’s SNES and remember feeling something I’d never felt before. Normally Nintendo games are all cutesy, calm and family-friendly with bright colours and happy accidents. Straight from the intro before the title screen, I knew this was going to be different. Foreboding music was playing in the background, a formal reveal of the name “Nintendo”, followed by “1994” and then, confusingly for me at the time “Metroid 3”. This is diff- wait was that a dead body lying on the floor? Something is very, very wrong here, and it felt so very, very right to be seeing it. After the opening narrative, serving as a “previously on Metroid” for the uninitiated like me, I was dropped into Ceres station proper to understand just what that title screen was all about. The place is deserted, with dim lighting and a sense of urgency to find out what has happened here. After a few rooms, I’m face to face with that room, clear scenes of a struggle, and those bodies just strewn on the floor. It’s still dark so I carry on through, and assume / hope a trademark Nintendo happy ending awaits them in a little while. 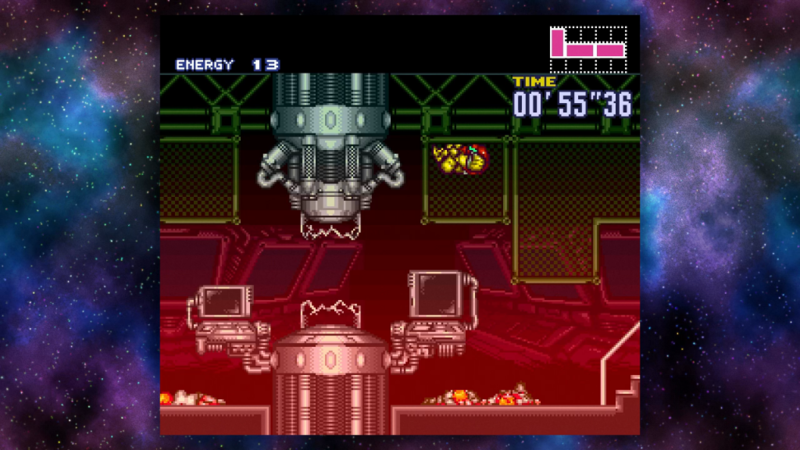 And then I find the cause of the problem, the titular Metroid in a later room. I go to grab it, but can’t. Unsure of what to do I explore and realise the way out is sealed. Then I notice a glow above the Metroid, before it comes into focus, “holy crap it’s the dragon from the box!”. Cue boss battle. As openers go, it’s memorable stuff, but it doesn’t end there. When arch-nemesis Ridley is down, Samus must make her escape thanks to an unfortunately-timed self-destruct sequence. As well as succeeding in ramping up tension after an already adrenaline-fuelled boss fight, it does something else. By lighting up the previously dark corridors, you get a better look at the room with the bodies. And the one thing you notice as the player is the red blood as you dash through against the clock. The reason I call it out is because this is a Nintendo game, a company who removed the blood from Street Fighter II for fears of not being kid-friendly enough. I knew as I escaped Ceres station to a timely explosion and chased after Ridley and the Metroid to the planet Zebes, that this was going to be something special. But the beginning of the story, is just, well, the beginning of why this is such an excellent example of its subgenre. 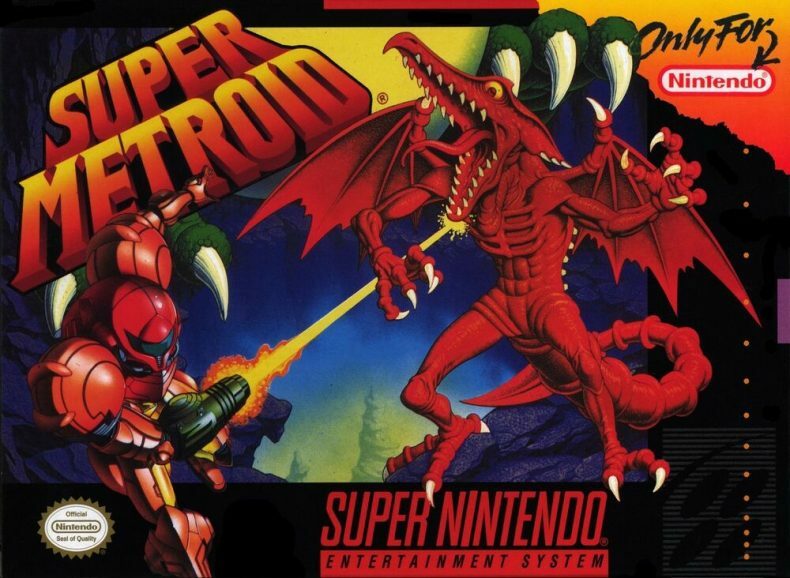 Super Metroid was, obviously, a Metroidvania title well before the term was first coined at the turn of the century. A game that encourages exploration and progression through the acquisition of skills and abilities to unlock previously unreachable areas. And no starker example exists than if you choose to go right instead of left when you land on Zebes for the first time and are faced with a locked green door you cannot open. You’ll definitely need to return here after you’ve discovered multiple new abilities, setting the premise for the game from the outset. Examining the design of the game though is where you can really appreciate the attention to detail in delivering that Metroidvania experience. 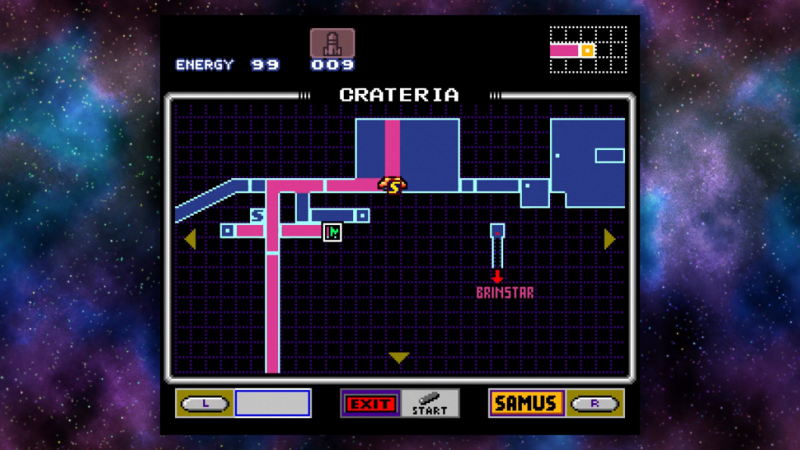 Initially there’s only one route you can take through Crateria, the opening area on Zebes, and this linear path leads you to quickly finding the Morph Ball and missile upgrades which allow you to go through small gaps and open pink doors respectively. Earning these abilities opens up a couple of other routes to explore, the most obvious of which is a pink door leading to a map room. And whilst this seems like a dead end, it’s actually an important inclusion and a nod to the game’s strong design, because a quick peruse of your newly acquired map shows a new route you can now take to an unexplored area. Exploring said area, will open up a new ability which then opens up a larger portion of the game. It’s a solid example of the transition from linear to open-ended exploration that a good Metroidvania needs to feel challenging and accessible at the same time. And what makes this title worthy of the “Super” moniker is that this feeling of discovery, and unearthing new abilities just keeps on going. This is a game that even towards the end of the game is still throwing new abilities at you to be able to overcome further obstacles to keep that exploratory progression alive. But these aren’t just additions for the sake of boasting a large toolkit. The design of the items actually aid and simplify the required exploration, be it making you faster, more agile or making your weapons stronger and more versatile. These upgrades make returning to previous areas less arduous because traversing them is simpler than when you encountered them the first time around often showcasing shortcuts you can now take advantage of. And that makes the biggest bugbear of Metroidvania games – the tireless backtracking – more enjoyable than it really has any right to be, and succeeds in maintaining the momentum of the game, as routes to progression become more spread out across Super Metroid’s ever-expanding map. Speaking of which, there does need to be a nod to the diverse areas within Super Metroid and the 16-bit musical soundtrack that accompanies them. 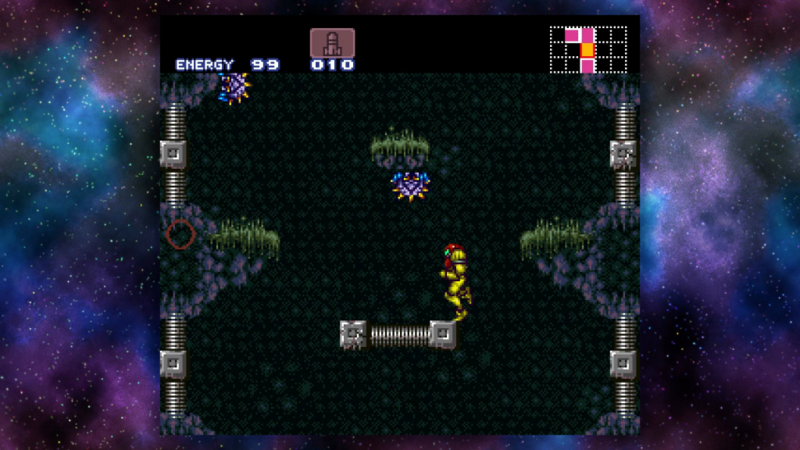 From the lush, vegetative expanse of Brinstar, through to the eerie Wrecked Ship area, or the fiery depths of Norfair, each of Super Metroid’s distinct sections feels unique. There’s equal parts excitement and trepidation when you reach a new area for the first time, wanting to explore what it has to offer but mindful of the new challenges and pitfalls that undoubtedly lie ahead. But you will always persevere and push on because the progression is always so attainable and rewarding, you reaching ever closer to the game’s final conclusion. And the ending, like the opening also does an excellent job. Without spoiling anything, the final boss battle feels like a suitable culmination of what has gone before, but it also forms a platform for suitable narrative to tie up the story. It’s a perfect bookend to what the beginning of the game was all about in terms of setting the scene and remembering that within all the shooting and platforming, there’s also a story to be told here that needs resolution. The ending also provides a summary of your performance as bounty hunter Samus Aran in your adventure, in terms of items collected and time taken to complete. Because aside from necessary items to progress, there’s also numerous missile and health capacity upgrades that aren’t essential to complete the game but make it an easier task. And so the completionist in me HAS to find them all, and so future playthroughs of the game armed with this knowledge suddenly becomes very appealing. That and the timing of your performance being recorded, suddenly makes the game a speed-runners dream, with various sequence-breaking opportunities rewarding the curious and the dexterous alike. It’s no wonder then that Super Metroid is such an adored title, and despite 25 years having passed since it first launched, it’s as loved now as it ever has been. Small wonder then that I needed no convincing to hook up my SNES Classic Mini and play it again for the umpteenth time in preparation for this article. It’s a timeless classic, and in my opinion the pinnacle of the 2D subgenre. A game, that quite rightly all 2D Metroid titles are measured against and in my opinion has never quite been bettered despite some very strong contenders throughout the years. It was my first ever Metroid game, but in me it spawned a lifelong fan of the series, whose enthusiasm for the franchise shows no sign of abating a quarter of a century on.